Usually, people like to sit in the Gatwick airport minicab driven by a professional driver, because they feel it safe. As Britannia Airport Cars services always come with professional and experienced drivers. So, if you are one of those people you must to choose us. Britannia Airport Cars will give you a perfect trip in accordance with your needs, requirements, and demands. Our professional chauffeurs are available for Airport Transfer whether that be London Airport , Heathrow Airport Transfer , Gatwick Airport , Southend Airport , Luton Airport , Stansted Airport , or London City Airport in a perfect manner. Fill a little information like pick up and drop location, type of car, time and km package and so on, and this is done, your required car will be booked for you and will be available at the place where you want it. If you choose Britannia Airport Cars, you can hire any luxurious car right from your laptop, computer or mobile phone. Now, it is much easier to book a normal Gatwick airport Minicab and also your dream car, you just have to book it with us. Britannia Airport Cars is a licensed and trusted car rental service provider who will always help you in having the right Gatwick airport Minicab From Gatwick North Terminal and South terminal in rent in accordance with your needs/demands. ü Britannia Airport Cars provides you professional drivers who will not only handle each kind of traffic but will also provide you the perfect and smooth experience of their driving. ü Our services are to give you priority and our driver will be there just before landing your flight to give you a quick pick-up and to save your time, they will not let a single minute to be wasted. ü On time pick-ups and drop services that will surely make you a fan just because we care about time and believes that time makes money. ü No hidden charges. So, do not worry about any extra charges, because we show you the total charges before booking the Gatwick Airport Minicab. ü In case if your flight gets delayed or gets canceled by any chance, we apply no waiting charges to you. ü We monitor all the flights. 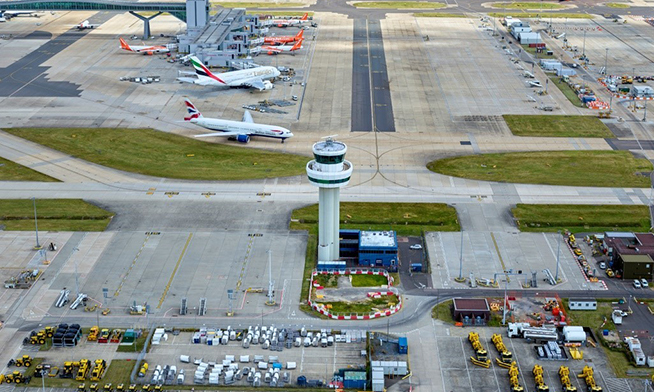 So, we can arrange a Gatwick Airport Minicab according to your flight landing time, and it will save time and money both. ü Britannia Airport Cars uses only secure payment methods so you can trust on us. We believe that trust is the key of success of any business. ü Our Gatwick Airport Minicabs are easy to book and also easy payments steps. So, you will not be entangled by any chance. We believe in dedication and hard work for each of our customers. So, you can get the best services. If you are in need for a right one car for your Gatwick airport transfer, you must to choose someone who cares about your money and time and can provide you dedicated services. Here, the Gatwick Airport Transfer Services will be worthy of your money and you will not have to think that you have wasted your money because Britannia cars are best option for you. We also care about your time and will not let it be the loss by any chance. If you need punctuality, Britannia Airport Cars provides you on time pick-up from any of the airports and can save your time by monitoring the flight routes and time. So, it can provide you with a Gatwick Airport Minicab right after your flight lands. Britannia Airport Cars provides the best chauffeurs with good knowledge about streets and roads and also experienced of this field for a few years (minimum of three years). So, if you are going to book a Gatwick Airport Minicab for Gatwick Airport Transfer, don’t think more just have a visit on the Britannia Airport cars website and book Gatwick Airport Minicab right from the place where you are standing now. Britannia Airport Cars prefer it very important for everyone to have a fully functioned car or luxurious car for your transfer from one place to another. No matter whether you are in need of the minicab or luxury car for Gatwick airport transfer, Britannia cars can be the better option for you. Here, you can book a car direct from our website. You will not have only the best and affordable car for airport transfer, but will also be happy with the driver who is well trained and knowledge that how to handle huge traffic to save your time.Britannia Airport Cars are available not only at airports, but providing it services at seaports as well. If you want to hire a minicab for to and from Portsmouth International Port , Harwich international Port , Southampton Cruise Port ,Dover Cruise Port and Tilbury Cruise Port . you are welcome here. Britannia Airport Cars is a leading brand of rental Gatwick Airport Minicabs provider with fully functioned cars and professional drivers which you will surely like to hire. Britannia Airport Cars are not only to provide the perfect cars and driver experience but also help you in having the best services for 24x7 whether it is night, midnight, afternoon or early morning, our Gatwick Airport Minicab is available every time at every airport.get the services of Airport to Airport Transfer like Gatwick to London city airport, Gatwick to Heathrow airport Transfer, Gatwick to Luton airport Transfer, Gatwick to Stansted Airport Transfer Gatwick to Southend Airport Transfer, Gatwick to London airport Transfer Services. You would ha the better experience of well-trained drivers who provide smooth riding. Our services are available for 24x7 without having any extra charges, we do not ask for any hidden charge for the Gatwick Airport Transfer services. ü On time pick-up by flight monitoring to give you car services right after your flight lands. ü Booking in simple steps which will require only pick up and drop location and some little information that you can fill in a couple of minutes. ü Secure payment with net banking or online methods also. ü No hidden charges will be applied by any chance until unless it will break the policy of package. ü Affordable packages with 4hours, 8hours, 12hours time duration, which will make you relax that you have enough time for services. ü Professional drivers who will drop you exactly where you will decide to go. So, it can be a comfortable journey and you will have a smooth and perfect trip. We monitor flight in case of any delay in flight we will arrange driver without any extra cost at arrival hall according to your landing time. If you are booking online or over the phone or email you can inform the Schedule Landing time and how many minutes after landing you required Gatwick Airport MiniCab. Our booking team will mention schedule landing time for the driver and we will adjust pickup time according to landing time and your selected minutes after landing.